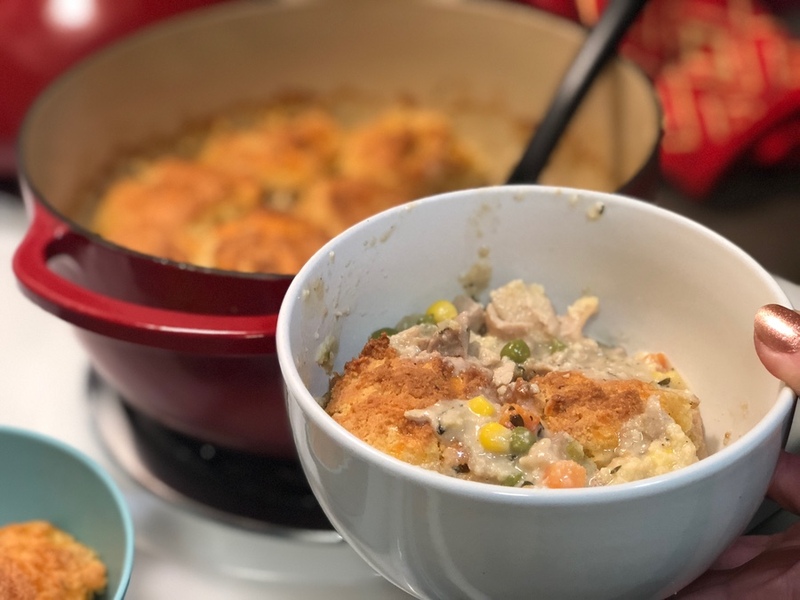 Here is a delicious Keto Classic Homestyle Chicken and Biscuits recipe. You wont believe this is actually keto and low carb friendly. 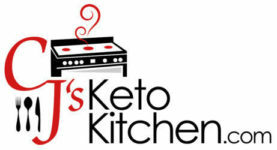 OR FOLLOW US ON INSTAGRAM @ Cjsketokitchen. In a dutch oven, or any other oven-safe large cooking pot, melt the butter….sauté the celery, and onion until translucent. Add the herbs, almond flour, and arrowroot or gum…..stir well to combine, and let cook for one minute to remove the “flour” taste. Slowly stir in the chicken stock and bring to a simmer for 10 to 15 minutes to allow thickening. Add the heavy cream and continue to simmer 10 additional minutes. Add chicken and mixed veggies. Set aside on low to prepare the biscuit topping. Cut (incorporate) the cold butter into the dry ingredients until well combined to a “sandy” texture. You may use a fork, a pastry blender, or your fingers for this step…..Make a well in the center of your bowl….Add the heavy cream 1/4 cup, and egg. stir into dry ingredients, do not over mix. Add 1/2 cup shredded cheese, stir to combine. Drop by spoonfuls, or hand formed balls of dough onto the surface of the stew mixture to form an even topping. Leave enough space between dough balls as they will puff up in the oven. Cook at 350 degrees for 20 to 30 minutes or until golden brown and cooked through, but not tough. Serve warm. Lori, thank you. We will correct that.